Roger Daltrey CBE, founding member of The Who, solo artist and tireless Teenage Cancer Trust patron, was honoured earlier this month with the Music Industry Trusts Award (MITS) as the event celebrated 25 years of raising money and supporting Nordoff Robbins and The Brit Trust. Hosted by Jo Whiley, the evening featured a series of live performances from Keane frontman Tom Chaplin, The Shires and The Wilko Johnson Band who were joined by Roger Daltrey. The night also featured a tribute video celebrating the efforts of Roger Daltrey with personal messages from Robert Plant, Paul Weller, Roger Taylor, Sir Peter Blake, founder member of Teenage Cancer Trust Dr. Adrian Whiteson and of course Bill Curbishley & Robert Rosenberg. This year the MITS celebrated its 25th anniversary, and since 1992 has honoured some of the greatest musicians, performers and music industry luminaries and has simultaneously raised over £5.5million to help sustain Nordoff Robbins and The BRIT Trust. Over 1000 guests attended this charity event which on this very special 25th Anniversary also included previous recipients Sir Tom Jones OBE, Harvey Goldsmith CBE, Rob Dickins CBE, Brian McLaughlin and MITS first honouree, John Deacon CBE. Over the past 25 years the MITS has also celebrated icons including Simon Cowell, Michael Eavis CBE, Sir Lucian Grainge CBE, Sir George Martin, Sir Michael Parkinson and Jonathan Ross OBE, in addition to some of the most popular artists and respected musicians of our age: Annie Lennox OBE, Gary Barlow OBE, Jools Holland OBE, Kylie Minogue OBE, Peter Gabriel, Sir Elton John CBE & Bernie Taupin, and Andrew Lloyd Webber. 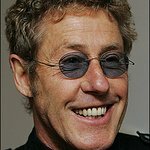 David Munns OBE, Chairman of Nordoff Robbins and the MITS Award committee, said: "We are thrilled that as we celebrate 25 years of The Music Industry Trusts Award, we are honouring multigenerational cultural icon Roger Daltrey. The award recognises not only his unique music both as a solo performer and as part of The Who – but also his tireless philanthropic activities which mirror the goals of the MITS.